Saeed Kamjoo, born in 1965 in Tehran, Iran, is a Persian musician and composer. He is a graduated from Music department from Tehran University. He furthered his studies in the instrumental and vocal repertoires of Classical Persian music under the guidance of such renowned masters as Ali Akbar Shekârchi and Ustad Asghar Bahâri. Kamjoo moved to Montreal, Canada in 1997 and has since been collaborating with various ensembles in Canada, the USA and Europe. He has recorded many albums and performed in numerous music festivals around in Canada, the USA , Mexico, U.K, France, Germany, Netherlands, Belgium, Norway, Sweden, Spain, Portugal, Poland, Greece, Turkey and Hong Kong . 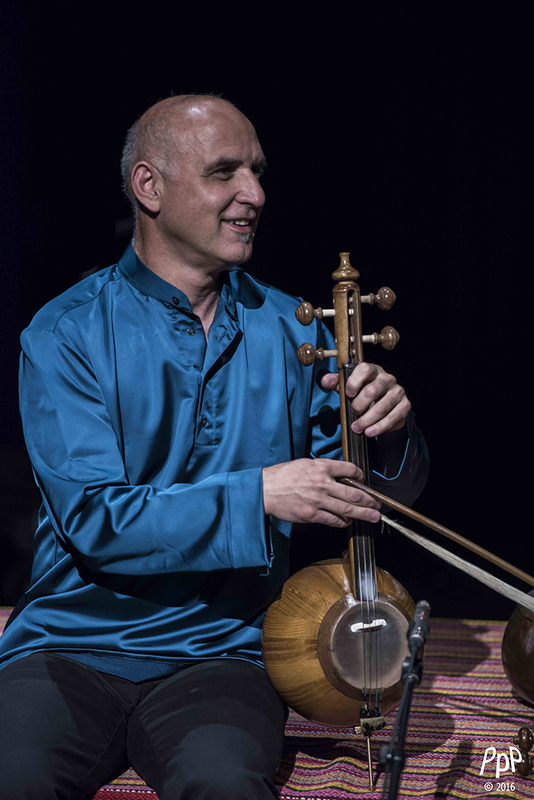 Kamjoo has also performed as a guest artist with Dastan Ensemble, one of the most renowned Persian musical groups. He has composed music for string quartet and vocal based on poetry of Omar Khayyám(12th c.), played in Toronto, Canada in 2012. His new album « No dawn, No dusk » ; for Qheychak solo was released in summer 2015. Pooria Pournazeri begins his initiation into Tanboor (lute from Kurdistan) at the age of 6. He pursues then his musical formation with his uncle Keykhosrow Pournazeri, teacher of Sufi music, with whom he learns both traditional Persian and Kurdish repertoire. After years practicing inspirational tones of thousand-year- old musics, he composes his own pieces at the age of 14 and performs for the first time at the age of 16 during a competition for the Fajr music festival in Tehran,where he wins the third place. After this noticed passage, he joined the prestigious Shams Ensemble with whom he participates in the album Mastan Salamat Mikonand who stays at the top of sales during a decade in Iran. In 2009, two major projects set in motion: he establishes Rivaan Ensemble with the acclaimed Majid Pousti and Ostaad Bijan Parvaz and creates Make the Earth Peaceful album within the framework of the UN’s project « Act on the climate change »;. In 2011, he launches his first solo album noticed by the magazine Songlines and described as the best album of October 2011 in Europe. Since his arrival in Montreal, he participates frequently in the creations of the Tabassian’s brothers and Ensemble Constantinople. 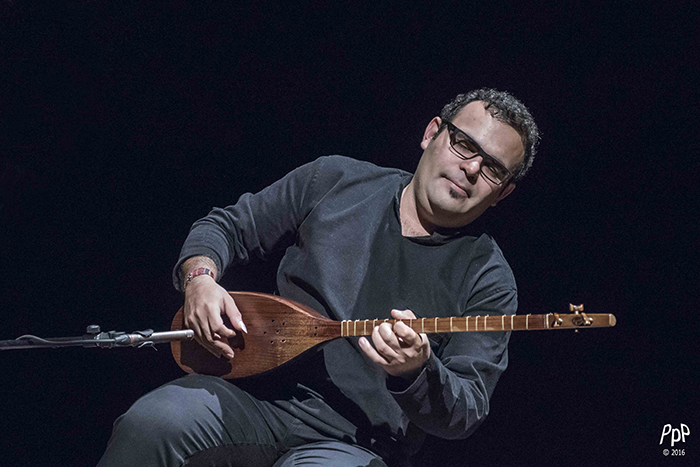 Pournazeri appeared in several musical and multidisciplinary events both in Iran and in Canada, in particular during the opening of the Aga Khan Museum in Toronto in September, 2014. He presently works on a 4th opus. From 1994 to 2001, he studied classical Western percussion with Julien Grégoire and obtained a Bachelor’s degree in interpretation from the Université de Montréal. His artistic aspirations, which lean toward improvised music from the Mediterranean and Middle East, found an outlet in Constantinople, an ensemble that he co-founded with his brother Kiya. In a residency at The Banff Centre in the winter of 2003, he explored the contemporary repertoire with Iranian percussion instruments, which was to have a lasting influence. 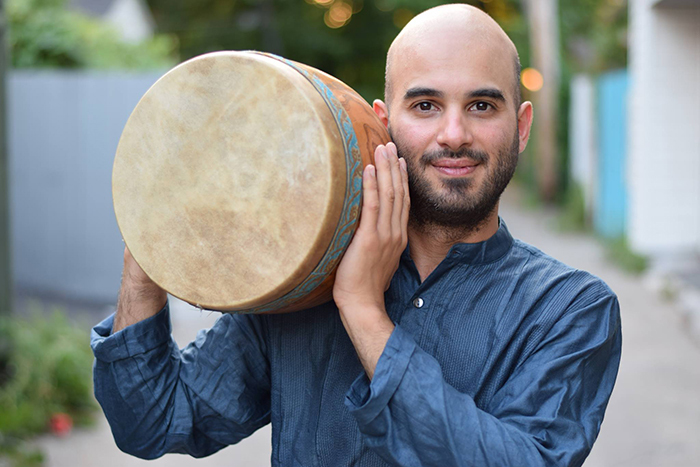 As a percussionist, Ziya Tabassian is professionally active in early music (medieval, Renaissance and Baroque), as well as contemporary, current and world music. He performs with several other musical groups, including the Ensemble Caprice. Supported by the Conseil des arts et des lettres du Québec and the Canada Council for the Arts, he has dozens of albums to his credit, including ten with Constantinople on the Atma and Analekta labels, and two in tandem with his brother Kiya Tabassian. He has also performed in recordings by the Kronos Quartet, Mercan Dede, Hossein Omoumi, En Chordais and Lo’Jo. His first solo album, Tombak, stemming from his acoustic explorations and research on the rhythmic cycles of early Persian music, was released in 2007 on the Ambiances Magnétiques label.